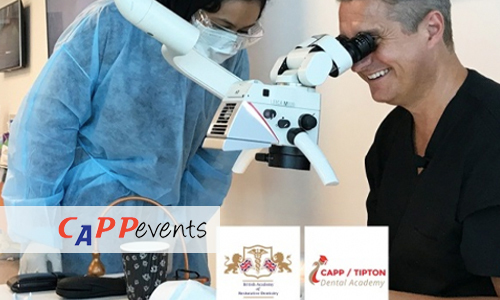 The CAPP/Tipton Dental Academy Clinical Endodontics Dentistry Certificate programme in Singapore for 2019 consists of 3 modules which take place every 3 months offers participants a chance to obtain a Certificate in Clinical Endodontics from the British Academy of Restorative Dentistry (BARD). To teach the delegates how to put scientifically proven cutting-edge endodontics techniques into practice to deliver great results. Give the delegates confidence to take on simple and complex endodontic cases. Help ease the delegate’s transition into private practice. CAPP-Tipton Dental Academy and the British Academy of Restorative Dentistry aim to increase levels of confidence and self-belief in the delegates and to teach them excellence in dental techniques so that they can achieve their career ambitions. The Academies provide access to specialist guest speakers to ensure that the participants receive the most advanced knowledge available. All paid course fee are non-refundable. The organizer reserves the right to cancel, postpone or change the venue, date and time of the event in the event of unforeseen circumstances. Should there be a cancellation of the course by the organizer, fees will be fully refunded. Visiting Professor and Programme Leader, MClinDent in Endodontology at BPP University working with the City of London Dental School. Professor Prichard is a renowned teacher in Endodontics, delivering hands on courses, lectures and seminars throughout the UK and overseas. He has held the posts of Associate Clinical Teacher, Clinical Teaching Fellow and Clinical Supervisor in Endodontics on the Masters Programme at The University of Warwick prior to joining BPP University in London as Visiting Professor and Programme leader for the MClinDent in Endodontology. He has supervised postgraduate students in Endodontics including several dissertations and theses. He has published in the scientific journals including the International Endodontic Journal, The British Dental Journal and Endodontic Practice. He has lectured at conferences including the British Dental Association annual meeting and the British Academy of Restorative Dentistry. 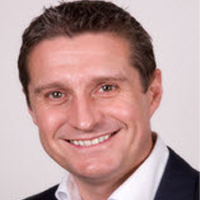 He is a Key Opinion Leader for several endodontic companies and has demonstrated the latest advances in endodontic technology for Schottlander and FKG Dentaire at the Dental Showcases and Dentistry Show in the UK since 2004. He gained his Masters Degree (MSc) in Restorative Dental Practice with distinction for his dissertation which he completed at The Eastman Dental Institute in London. He is a Fellow of the International Academy of Dental Facial Esthetics in New York, a Fellow of the Higher Education Academy and a Fellow of the Biritish Academy of Restorative Dentistry. Göran received his dental degree from the Faculty of Odontology, Karolinska Institute in Stockholm in 1979. He has held departmental positions at the Karolinska Institute, the University of Gothenburg, Eastman Dental Hospital in London, and the United Medical & Dental Schools of Guy’s & St. Thomas Hospitals, London. 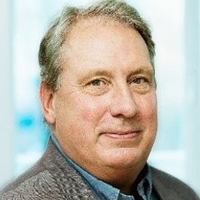 Dr. Urde has held a variety of positions with Nobel Biocare throughout Europe, including System Specialist, Manager of Clinical & Scientific Support, Market Director and Manager of Professional Support. Dr. Urde has lectured and published extensively on dental implants and practice management. He is currently on staff as a Prosthodontist at the Copenhagen Implant Centre and maintains a private practice in Copenhagen. Dr. Adam S. Toft qualified in 1995 with Honours from Sheffield University, having already gained a chemistry degree in Bangor, Wales. Since qualifying he has been interested in all aspects of dentistry, especially orthodontics, restorative and cosmetic dentistry. Adam has completed a 2 year postgraduate orthodontic course and a 4 year placement at the Royal Hospital, Chesterfield as a clinical assistant in the Orthodontic Department. He enjoys attending postgraduate courses and has been a vocational trainer for newly-qualified dentists over a number of years. Furthermore, in order to offer his patients the very best in Aesthetic Dentistry, Adam has also recently completed an MMedSci Course at Sheffield University. He studied part-time over two years and has been learning and carrying out the very latest in adhesive and cosmetic dentistry. He has taught as a part-time clinical tutor at Sheffield’s Charles Clifford Dental Hospital where he helped to supervise and tutor final year dental students. He is also one of the lecturers for Tipton Training where he lectures on the restorative, practical and aesthetic courses. He is a founding committee member of the British Academy of Restorative Dentistry (BARD) and also a member of the British Academy of Cosmetic Dentistry (BACD). Prof. Paul A. Tipton, UK is an internationally acclaimed Specialist in Prosthodontics who has worked in private practice for more than 30 years. 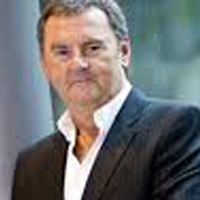 He is the President of the British Academy of Restorative Dentistry (BARD) and is the founder of Tipton Training Ltd, one of the UK’s leading private dental training academies and the author of over one 100 scientific articles for the dental press. He has been named at #12 in ‘The Dentistry Top 50’ for 2017 in the UK and voted in the Top 20 ‘most influential dentists in the UK’ by his peers in Dentistry Magazine in April 2012, the leading Prosthodontist in the poll. Prof. Paul was also voted in the top 5 dentists in Private Dentistry’s Elite 20 poll, January 2012. He gained his Master’s Degree in 1989 from the Eastman Dental Hospital and London University and started teaching on the University of Manchester’s MSc in Restorative Dentistry. He is now Professor of Restorative and Cosmetic Dentistry at the City of London Dental School. His private dental training academy, Tipton Training, was founded in 1991 and to date over 3000 dentists have completed a one year course at the Academy. In 1992, Prof. Tipton was awarded an honorary Diploma in General Dental Practice from the Royal College of Surgeons of England and was appointed a member of the British Dental Association’s Independent Practice Committee. In 1999, he was certified as a Specialist in Prosthodontics by the General Dental Council. Prof Tipton is on the editorial board of Private Dentistry Magazine, The Journal of Indian Prosthodontics Society and Implant Dentistry and is a medical writer and part of the advisory board at Expert Beauty Magazine and ‘Woman’s’ magazine. He was a founding member and on the Board of Directors of the British Academy of Aesthetic Dentistry and the British Academy of Cosmetic Dentistry. He is the past president of the British Academy of Implant Dentistry and is currently the President of the British Academy of Restorative Dentistry. 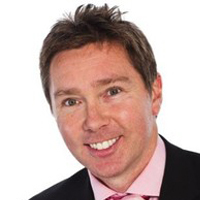 He was recently elected Fellow of the International Academy of dental Facial Esthetics (IADFE) and Associate Fellow of the University of Warwick. Graduated from the University of Athens Dental School (Greece) in 1998. 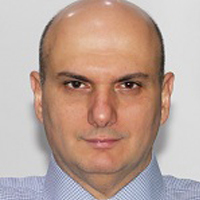 In 2003 he completed the three-year postgraduate program in Endodontics at the University of Athens Dental School. He is a clinical instructor affiliated with the undergraduate and postgraduate programs in the Endodontic department at the Athens Dental School. From 2003 he was working in a private practice limited to microscopic Endodontics in Athens, Greece. He has published articles in local and international journals and he has lectured in over 40 local and international Congresses.